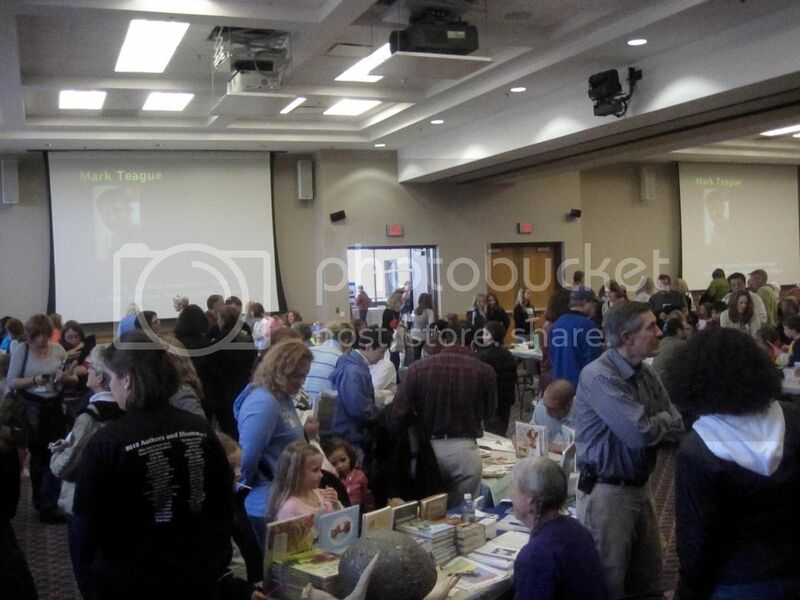 This is part of the crowd at the annual Rochester Children’s Book Festival, where more than 40 children’s authors & illustrators spent the day chatting and signing books for thousands of kids, parents, and teachers. Want to see some serious excitement about reading? This was the place to be. 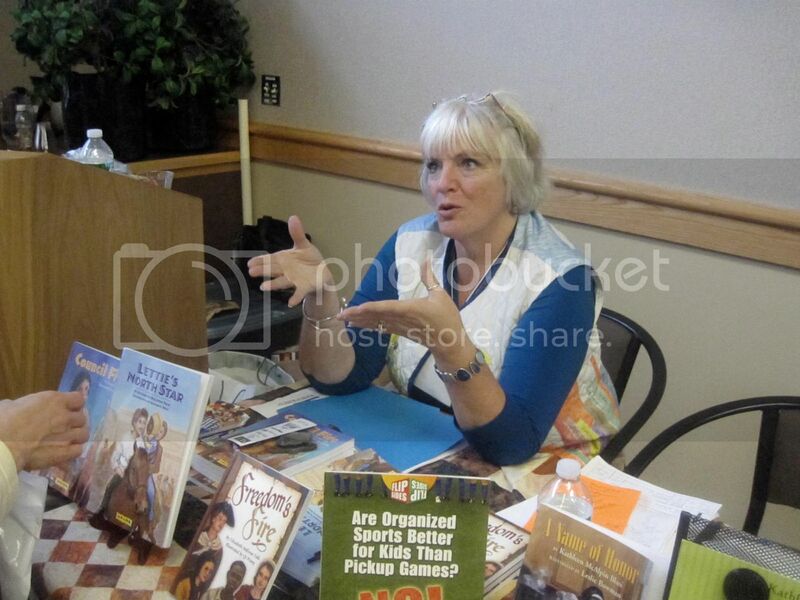 One of the nicest surprises for me was arriving to find that I was table-mates with Julie Berry, the author of THE AMARANTH ENCHANTMENT and SECONDHAND CHARM from Bloomsbury as well as the hilarious SPLURCH ACADEMY chapter book series. Julie and I both grew up in Medina, NY, and her older sister Joanna was my best friend in junior high school, so we had a wonderful time catching up and book talking one another’s books. Here’s Bruce Coville, who made my whole entire day before the festival even started. When I was taking my daughter to the rest room, I saw Bruce in the hallway and stopped to say hello, since he was a speaker at the very first writers’ conference I ever attended. He looked at my nametag and said, "Gianna Z. right? I loved that book." I was blown away but gathered my thoughts enough to say thank you before we walked away. 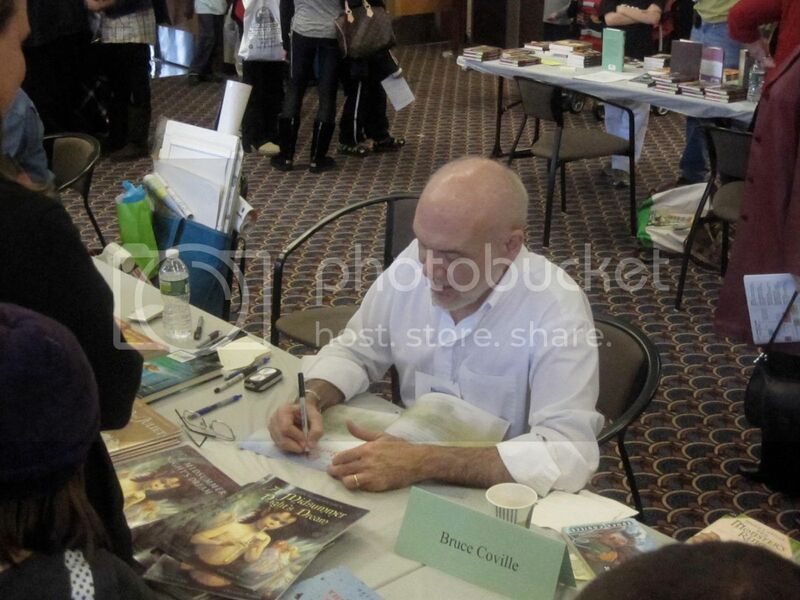 Then my daughter looked at me, eyes huge, and captured exactly what I was thinking, "That was Bruce COVILLE, and he said he liked your book!" Here’s Elizabeth Bluemle, signing DOGS ON THE BED, MY FATHER THE DOG, and HOW DO YOU WOKKA WOKKA? 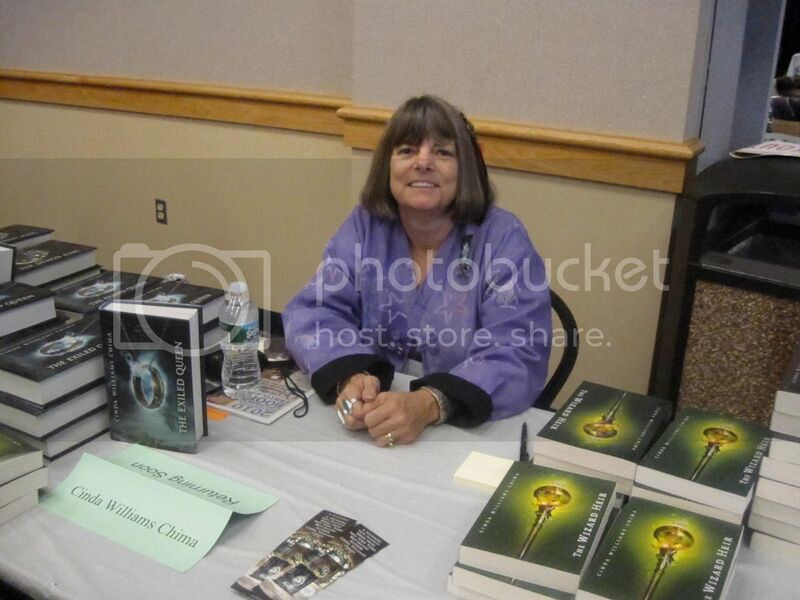 Cinda Williams Chima was there, too, signing her latest, THE EXILED QUEEN. 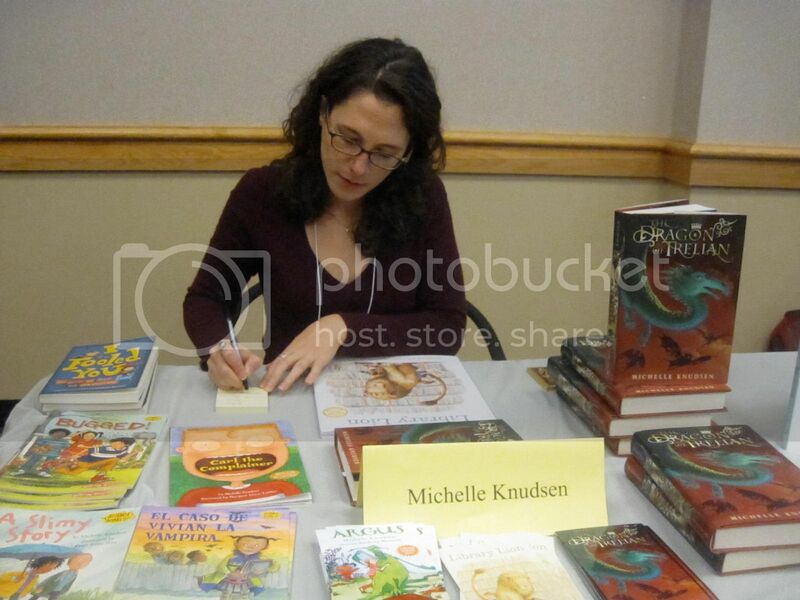 Michelle Knudsen signs a copy of LIBRARY LION for a festival reader. 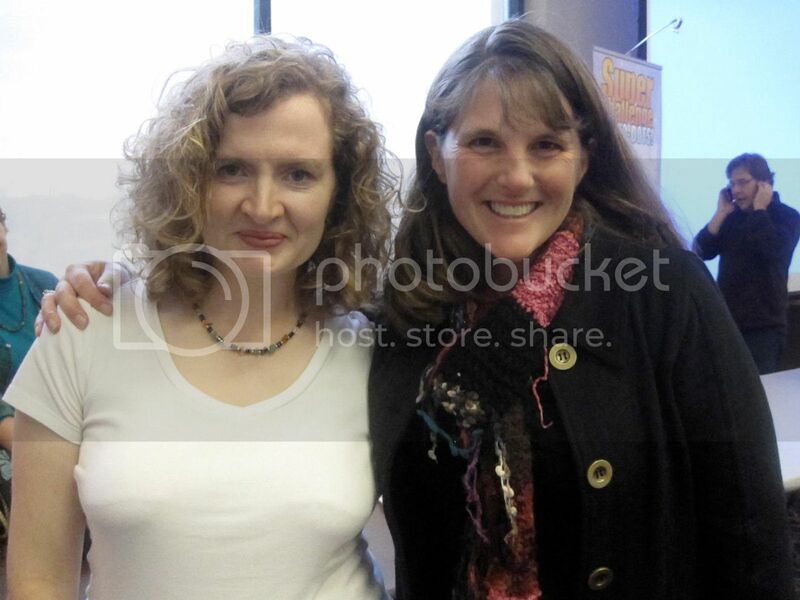 Here’s author and festival co-organizer Kathleen Blasi (right) with two book lovers! 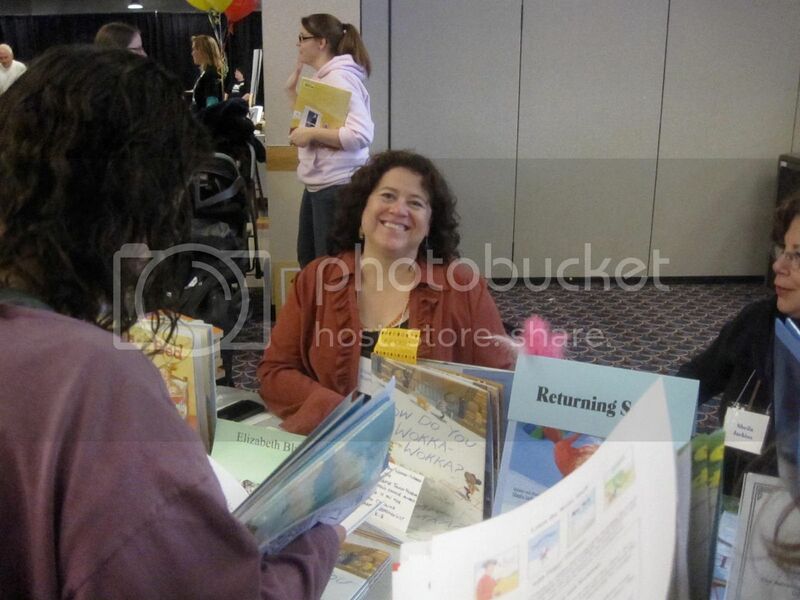 And here’s Kathleen’s partner-in-crime, the always energetic author/organizer Sibby Falk. 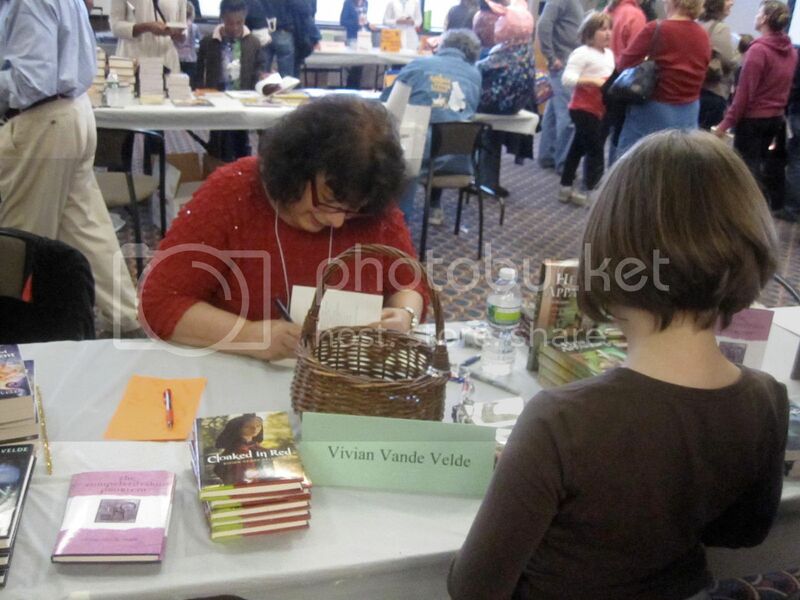 Every time I went to get a photo of Vivian Vande Velde, she was busy signing books for kids…so here’s a picture of the top of her head. 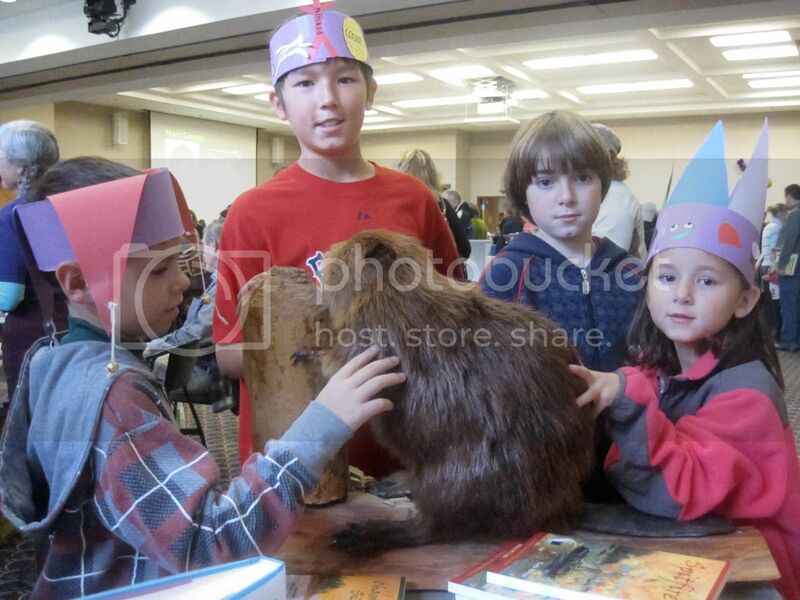 One of my Lake Champlain historical novels, CHAMPLAIN AND THE SILENT ONE, deals with the fur trade between Native Americans and the French in the early 1600s, so I brought along this taxidermied beaver that I picked up at a yard sale this summer. He was quite a hit! 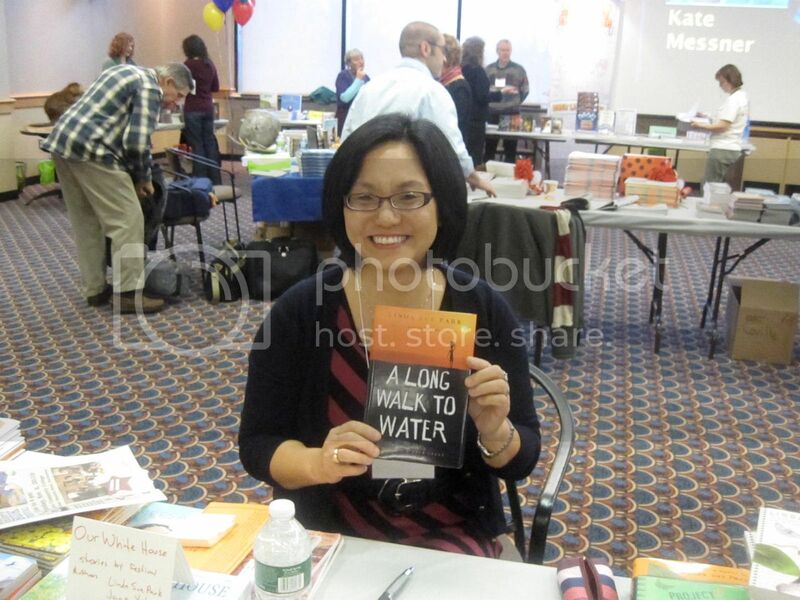 Linda Sue Park was there, too! Here are Jane Yolen and Mark Teague, who were busy-busy-busy signing all day long! 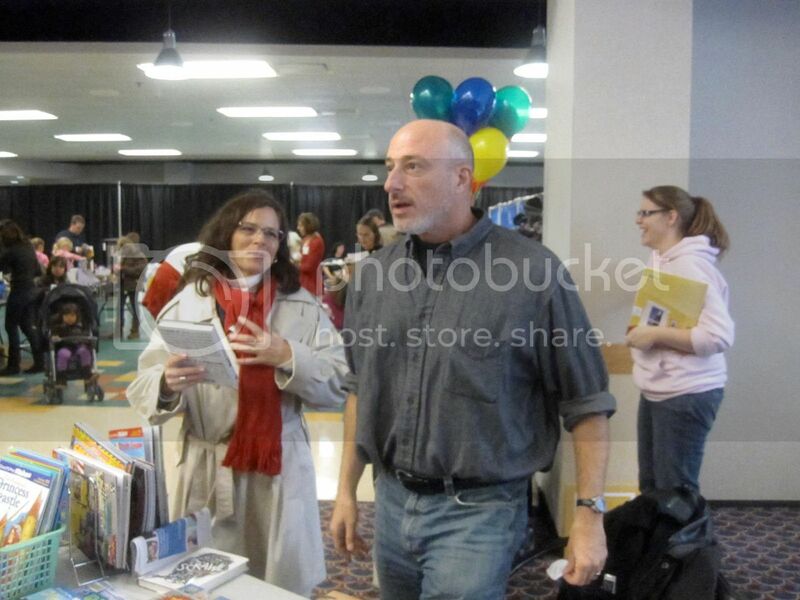 Mark Shulman was there, signing his books, including his latest, SCRAWL. When the festival ended at 4:00, I looked over at Julie – Where had the day gone? 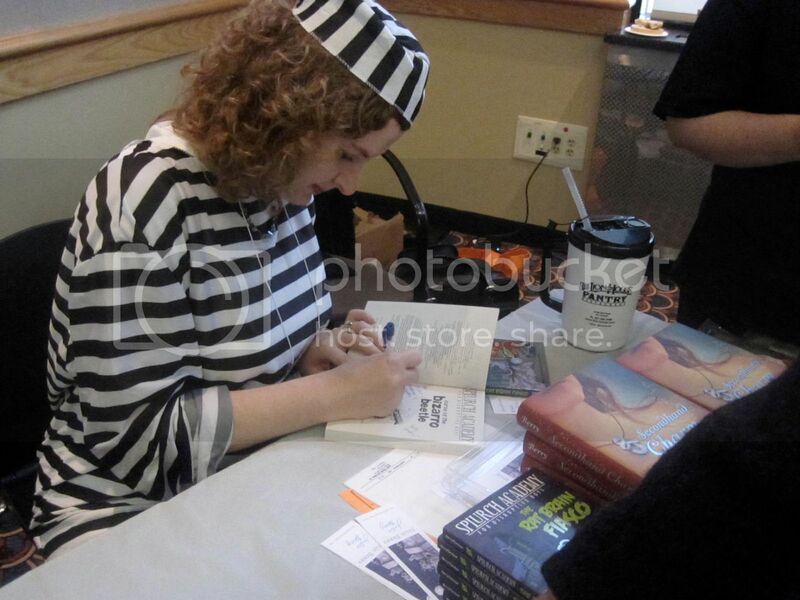 Six hours of visiting with readers and signing books seemed to fly by in minutes. 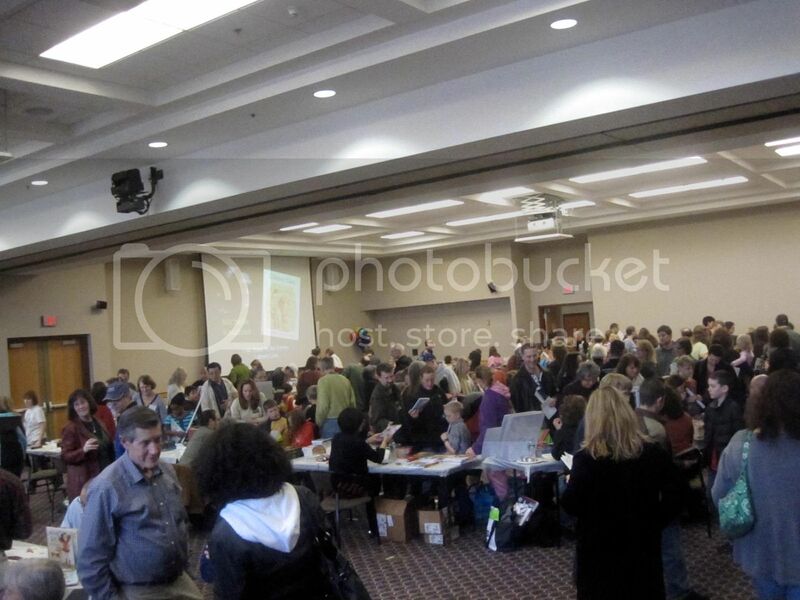 Thank you SO much, organizers, volunteers, and most of all, readers, for such an amazing celebration of books!